Who are we and why are you here? Good question! We are a specialist agency for freelance Agile Scrum Masters, SAFe Consultants and Agile Project Managers for web and mobile application development delivery. We have also collected a great bunch of BAs, developers and test analysts along the way that we're happy to lend to you on the proviso that we get them back!! We have worked in both eGovernment and private sectors, for large corporates and more nible agencies. We love what we do and would love to help you attain your goals. We strongly believe in the Agile Manifesto principles and this is our way of working. Headed by Anita Jones, we have gone from a small web design and development agency to a collective of professionals who have built a steady portfolio on some impressive projects over the years. Our skite sheet is impressive and if you are after any specialist contract resource to colocate with your agile team and create awesomeness together, then do get in touch. Please note: We choose not to work with just anyone as our success lies in delivering real value to you. If you are chosen as one of our clients, you will know we can achieve your digital goals - and have alot of fun doing it! Watch this space for a game changing product soon to be released by Loyalty New Zealand with the help of yours truly! Hint - it's going to be big and it's going to be awesome!! Fly Buys is managed by Loyalty New Zealand. It is New Zealand’s largest coalition loyalty programme with more than 1.4 million active households (representing 74% of all New Zealand households) and 2.5 million active card holders. On average, each day, the Fly Buys card is swiped more than 300,000 times and every 46 seconds a New Zealander buys a reward with Fly Buys points. Loyalty New Zealand was established in 1996 to create a coalition loyalty programme that would reward customers and provide businesses with data analytics and insights. The company is jointly owned by Bank of New Zealand, Foodstuffs New Zealand, IAG New Zealand Limited and Z Energy Limited. Through the Fly Buys programme, Loyalty New Zealand has partnerships with more than 50 of New Zealand’s most recognised brands. Westpac Bank is a heritage bank brand striving to make their mark in the digital space. 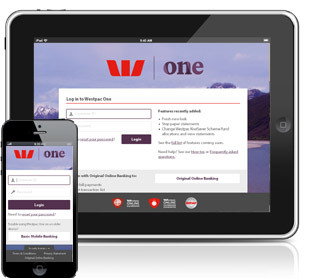 Their aspirational goal of being New Zealand’s leading digital bank lead to the remake of their online internet banking system (WestpacOne) and subsequent mobile apps. The shift in thinking to a digital transformation has been very challenging for a traditional organisation, and they rose to this admirably being the first New Zealand Bank to release a banking app for the Apple Watch. Altered Ego Design Was part of a scaled Agile management team performing the role of Scrum Master for several teams, while promoting Agile practices. The New Zealand Police are developing enterprise level native iOS mobile applications for their road policing duties. 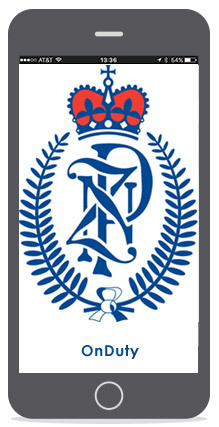 Mobilising the NZ Police Force was part of their long term strategic objectives. The organisation wanted to move all front line Police Officers to iPhone 6 & 6+ devices so they can undertake the majority of their work in the field, rather than having to go back to the station to access the National Intelligence Database (NIA). This helped achieve the government initiative of a more visible Police presence within their communities. This project pioneered new paths as it had to be mobile, perform well on the 4G mobile networks, and also access the NIA Database so an officer could perform a query whilst offline (such as in areas where there is little or no coverage). Notwithstanding, this mobilisation came with the additional challenges of having to comply with the NZ Security Manual issues by the Government Communications Security Bureau (GCSB). There were also visions of being able to share data (via peer to peer device communication) when there were multiple officers attending scenes, such as road crashes, to avoid duplication of content entry. An additional challenge was having the development team geographically distributed, with teams in three different, and highly secure locations. 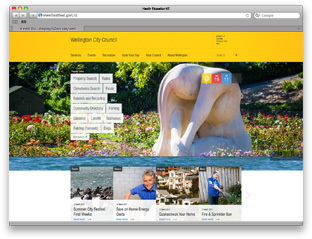 Wellington City Council is the local borough website for all council services for the central Wellington Region. The site was designed using responsive design technology. This is a first for local eGovt and WCC is proudly leading the way! Working with the internal WCC team, and their 4 main vendors, Altered Ego Design project managed this site which included information architecture, web design, front end responsive coding, code integration and development into the Sitecore CMS, sys test, UAT test and release management. Other aspects of the project included a solution architecture design and build, Google Search Appliance (GSA) build configuration and integration, usability testing, accessibility testing, content strategy, content audit, content migration (977 static pages, plus a series of online databases) as well as the usual project governance a project this size requires. This complex project was mainly project managed using Agile (Scrum) methodology. 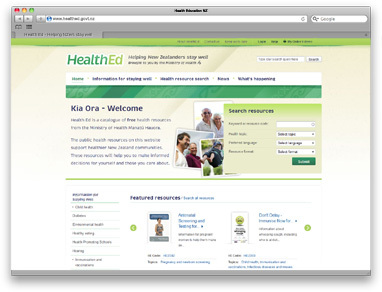 As part of the Ministry of Health's website strategy, it was mandated that the 1000 or so printed posters, pads, booklets and stickers be more publically accessible - in many different languages from to Amharic to Vietnamese including HTML versions of English, the Pacifika languages and also te reo Māori. Currently these free resources created by the MOH are available from health centres, doctors etc. The Ministry wanted the information bought out in the public. Altered Ego Design project managed this website, managing the contracts and deliverables from the two major vendors. Following up with Google Analytics commentary reports each month on the site's success has led to further enhancements being rolled out in 2013. The project management of this eGovt site included aspects such as web strategy and web content audit, content migration (of aproximately 1000 resources, many mulitpage, multiformat, multilingual documents - a real challenge!). Other compents of the project management included information architecture, web design, front end coding, code integration and development into the Drupal CMS, sys test, UAT testing, usability testing, accessibility testing as well as the usual project governance a project this size requires. This complex project was mainly project managed using PRINCE2 (Waterfall) project methodology.